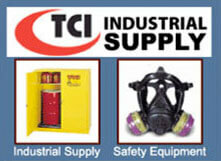 Determine which thread and gaging specification applies to the product being inspected. A NoGo or (Lo) thread ring gage inspects the NoGo or (Lo) functional diameter limit of product external thread. The NoGo thread ring gage, when properly set to its respective calibrated thread setting-plug, represents the NoGo (Lo) functional diameter limit of the product external thread. NoGo (Lo) thread ring gages must be set to the applicable truncated or Hi-Lo setting plugs. The NoGo (HI) thread plug gage inspects the NoGo (HI) functional diameter limit of product internal threads. The NoGo (HI) thread plug gage represents the NoGo (HI) functional diameter limit of the product internal thread. This standard specifies the thread form, series, class, allowance, tolerance, and designation for unified screw threads. This standard provides specifications and dimensions for the gages used on Unified Inch Screw Threads (UN Form) and covers the specifications and dimensions for the thread gages and measuring equipment. This standard contains general metric standards for a 60 degree symmetrical screw thread with a basic ISO 68 profile designated M profile. The M profile threads of tolerance class 6H/6g are intended for metric applications where inch class 2B/2A have been used. At the minimum material limits, the 6H/6g results in a looser fit than the 2B/2A. This standard provides essential specifications and dimensions for the gages used on M series metric screw threads, and covers the specifications and dimensions for the thread gages and measuring equipment. All complete product threads enter, only if a definite drag from contact with the product material results on or before the second turn of entry. After the drag is definite, the gage should not be forced after the drag is definite. In other words, the external thread that is made to the ASME B1.13 standard will fit the entire length of the NOT GO Ring gage can still be acceptable as long as the inspector can feel a “definite interference” between the gage and the thread not more than two threads from the starting end. ISO 68 states that each thread is characterized by its major diameter and its pitch. ISO 261 defines a detailed list of preferred combinations of outer diameters and pitch sizes for ISO metric screw threads. What action can be taken when two gages provide different results? exceeds the allowable entry onto the part while the other gage does not. Solution: The gages must be evaluated and recalibrated by means of a setplug to see if the ring gages are set correctly to size. There are many factors that can cause a thread ring gage be out of tolerance. A gage may be accidently dropped by an operator causing the gage to be knocked out of size. 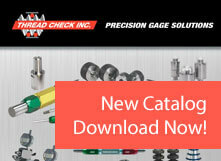 Wear from use of the gage may be a factor prior to its frequency of calibration due date schedule. The two gages may be set to two different setplugs. Due to gage tolerance of the setplugs their actual sizes may be slightly different creating a different size and fit for the ring gages. Compounding this condition is the subjectivity of “drag” for setting thread ring gages to matching setplugs. To reduce the possibility of a gaging dispute, manufactures of threaded product should not allow No Go ring gages to enter more than 1 ½ to 2 turns?